The MY VOICE MEDIA CENTER, which offers numerous art workshops, support meetings and exhibitions for persons who have lived experience with mental illness. Our community arts programming such as TASTE THE ARTS FESTIVAL, FIRST FRIDAY ART HOP, and SOUTH VALLEY ART TOUR boost our local economy, foster our local identity, and promote tourism in our region. Our partnership with the City of Visalia to fund new arts events that serve youth and diverse communities through our COMMUNITY ART GRANTS program. Supporting creative ideas and individual artists through our fiscal agency over SPECIAL PROGRAMS like the Urbanists Art Collective, 1st Saturday in Three Rivers, Spanspek Music Festival, Veritas Art Center, and the Maldonado Institute for the Arts. The right to one vote during monthly membership meetings regarding our monthly and annual arts programming. These meetings also provide networking opportunities, new member introductions, presentations, news, updates and technical training. Membership meetings also allow you to shamelessly promote your business or event. Free use of Arts Consortium space for special art events, art classes, art workshops, and other community events. Exhibition opportunity at the AC venue for discounts on open call shows and access to member’s only shows. Listing in our Annual Publication “Watermark” and online directory. Opportunity to join one of our planning committees, including: First Fridays, Taste the Arts, South Valley Artists Studio Tour. Subscription to our email newsletter, which includes calls to artists and news about upcoming events and opportunities. 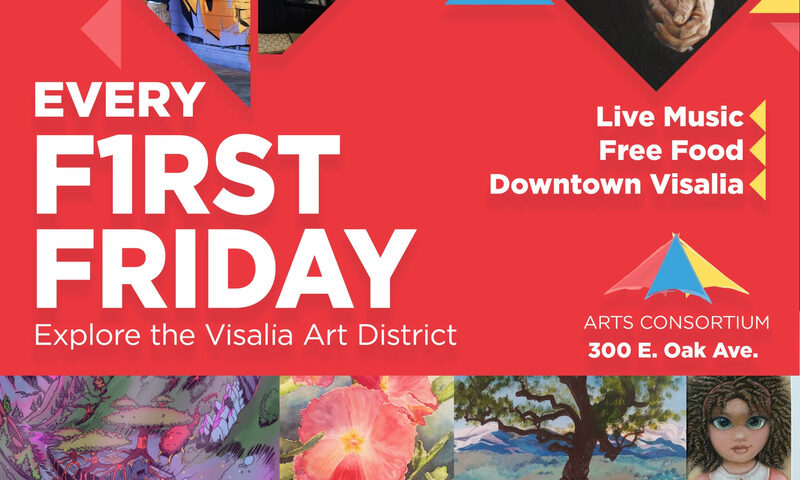 First Friday Venues get free advertising for their venue on all posters, cards, newspaper articles and community calendars as well as all of the above. We understand you may prefer to turn in a hard copy of membership application. Click download for a printable membership application! Give us a call at (559) 802- 3266 to learn more about Philanthropist and sponsorship opportunities!